The European Commissioner for Internal Market and Services, Michel Barnier, repeated on Wednesday the answer given by the former Commission President Romano Prodi to a question about Algeria and its hypothetical EU membership on the basis of its French past: “if a region separates itself from a Member State, it quits de facto the European Union and will need a new accession treaty”. Barnier underlined that this is a “general” opinion. However, he added that the European Commission will only issue its definitive opinion about an independent Catalonia on the basis of “a precise scenario” and refuses to “speculate” about the Catalan case. This opens the door to nuances, as the European Commission Vice President Joaquín Almunía recognised 11 months ago, when he stated that “it would be dishonest […] to give a strict answer” as to whether a separated part of a Member State would still be part of the EU. Back then, he added that “the question is not a black and white one” and “it has many nuances”. 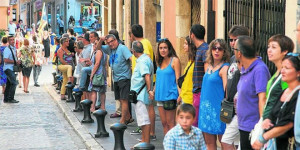 However, the Spanish Government has launched a comprehensive diplomatic offensive in the last few months, with especial emphasis in the last few days, after the Lithuanian and Latvian Prime Ministers talked about Catalonia’s independence and 1.6 million Catalans last week formed a 400-kilometre-long human chain to support independence from Spain. On Monday, Almunía changed his mind and stated in Barcelona that a “separated part of a Member State would no longer be part of the European Union”, referring to Catalonia. The European Commission Spokesperson, Pia Ahrenkilde, backed the Spanish politician’s words and read Prodi’s answer to the Algerian question, but she also added that the EC will only give its opinion about Catalonia’s case in the event of a precise scenario. In the last few days, the Catalan Government has been insisting that the EU Treaties do not include a legal mechanism that expels from the Union a separated part of a Member State. They also recognise that there is no legal mechanism for automatic accession. Therefore, they see the issue as a matter of political will, to be dealt with in a negotiation. In fact, some voices from Catalonia, such as the President of the Left-Wing Catalan Independence Party (ERC) and former Member of the European Parliament, are asking the EU to implement a similar principle to that which it did for the accession of the Democratic Republic of Germany (East Germany), which acceded to the EU on the day it united with the Federal Republic of Germany. 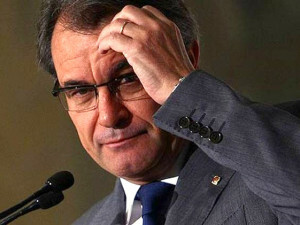 The President of the Catalan Government, Artur Mas, stated on Wednesday evening that he wanted to share “some calm thoughts” regarding the controversy created in the last few days about having the Catalan economy out of the EU if Catalonia becomes an independent country. Firstly, Mas emphasised that the current controversy has been generated to reduce the support for independence. “Questioning Catalonia’s “economic integration within the EU” follows “controversies stirred up by interested parties”, he stated. He was indirectly referring to the interest of Spanish nationalists in using this controversy to stop Catalonia’s self-determination process. Secondly, Mas insisted that having the Catalan economy out of the internal market “is not in the interest of Catalonia, Spain, or the European countries with factories and design centres throughout Europe”. “Nobody is interested in worsening the European economy”, stated the President of Catalonia, which has been a net contributor to the EU budget for decades and is Spain’s wealthiest area. On Tuesday, the Spokesperson for the Catalan Government, Francesc Homs also emphasised that “the European Union does not have a surplus of net contributors”.